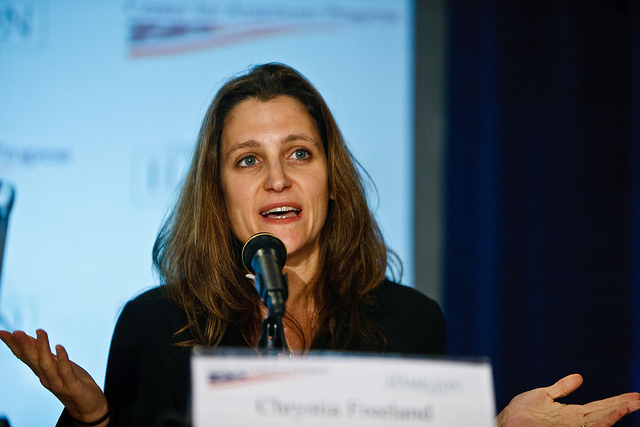 In early August, Canada’s minister of Foreign Affairs Chrystia Freeland used Twitter to denounce the imprisonment of Samar Badawi by Saudi Arabia. This criticism has led to a number of measures imposed by the Saudi government, potentially jeopardizing diplomatic relations with Canada. However, this is not the first time a Canadian official has criticized the treatment of human rights activists in Saudi Arabia. In fact, the Conservative government had made a similar public statement in January 2015, using an even harsher tone. Andrew Bennett, the ambassador for religious freedoms under the Harper government, had criticized the flogging of Raif Badawi. In comparison to Freeland’s tweet, it did not elicit any particular response. 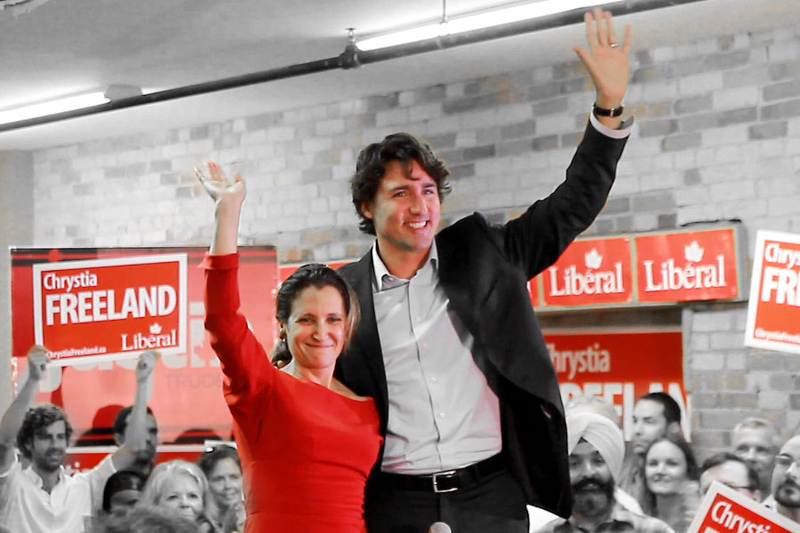 Why has Freeland’s statement provoked a reaction now? Samar Badawi, sister of Raif Badawi, is a women’s rights activist who has been targeted by Saudi authorities since 2014. Civil and political rights activist Nassima al-Sada was also detained, along with many other human rights advocates, starting last September. Additionally, Israa al-Ghomgham, a Shia activist, will be the first female activist to potentially face the death penalty with her husband and three others for participating in peaceful protests. After Minister Freeland’s tweet, Saudi Arabia responded quickly by freezing new trade and transactions, expelling Canada’s ambassador, suspending flights to and from Toronto, and recalling its sponsored students from Canadian schools. Canada’s health system will take the hardest hit. There are 1,053 sponsored medical trainees who provide important support to staff in crowded hospitals, where they make up a significant percentage of residents. Fortunately, they were given an extension by the Royal Embassy of Saudi Arabia until further arrangements can be made. More than 8,000 students funded by the Saudi government had until August 31st to leave Canada, even though some of them have lived in the country for over 10 years. Currently, 20 of them have filed for asylum. Diplomatic talks between Saudi Arabia and Canada are ongoing, and Prime Minister Trudeau continues to uphold his priorities with respect to human rights. Saudi Arabia’s absolute monarchy has sometimes come under fire for the repression of its citizens. According to Freedom House, the country’s evaluation on its Freedom score has decreased 3 points since last year. The score is now 7 out of 100, indicating a lack of political rights and civil liberties. These recent developments can be traced to Prince Mohammed bin Salman’s rise to power as the Crown Prince of Saudi Arabia in 2017. After taking over the Crown, an anti-corruption operation was initiated to crack down on business leaders, government officials and the royal family, in order to consolidate bin Salman’s power. His track record includes the 2015 military campaign launched in Yemen after being appointed defense minister, resulting in the death of more than 9 000 people. Prince Mohammed has cited his desire to modernize the country through a series of social and economic reforms. For example, the government lifted the female driving ban in June, alluding to the advancement of women’s rights. However, there are an increasing number of human rights activists, many of them women’s rights defenders, that are facing prosecution. Some suggest that this is an indication of the limits of this “social revolution” that the Saudi government will allow. Photo by Ralph Alswang for the Center of American Progress, via Flickr Creative Commons. Canada was not the regime’s only critic; Sweden and Germany have also voiced their concerns in the past and faced Saudi Arabia’s retaliation. In 2015, Swedish Foreign Minister Margot Wallstrom tweeted her disapproval regarding the flogging of Raif Badawi, instead of releasing a public statement like Canada. No immediate action was taken by the Saudi government in response. Wallstrom was later blocked from speaking about democracy and women’s rights at an Arab League gathering by Saudi Arabia. Similarly to the situation with Canada, Saudi Arabia recalled its ambassador to Stockholm and denounced the statements made by the Minister with support from the Arab League. Despite Sweden’s similar usage of Twitter in diplomatic relations towards Saudi Arabia, the new Crown Prince used Freeland’s fairly innocuous tweet to trigger tensions in Canada. The Twitter spat is cited as a criticism of Trudeau’s diplomatic relations approach: “Twitplomacy.” Twitter is increasingly used by world leaders and foreign ministers to conduct digital diplomacy. Trudeau considers this medium to be another tool to communicate government messages and build foreign relationships in this digital era. However, Twitter as a political tool conveys a message in only a few words, in which the opposing figure is put in the public limelight. It is a tactic to publicly discredit the Saudi government, and risks the relationship between the two states. Considering the sudden shift in power and increased levels of repression, “Twitplomacy” is not the main reason why diplomatic ties are weakening. Prime Minister Trudeau praises the advancement of human rights in Saudi Arabia and prefers to be on good terms with the Kingdom. Rather, Bin Salman’s sensitivity to criticism, differing values, and his ambition to lead an economic and social reform may be the leading causes of this recent spat with Canada. The retaliation to the tweet is a way to show his power and how far he is willing to go to reaffirm his position as a head of state to one of the most repressive governments in the world. Feature image by Joseph Morris, via Flickr Creative Commons.